It always a bummer when you find yourself in trouble when it is not your fault. But that's the way life is in reality and in the world on the casual games. 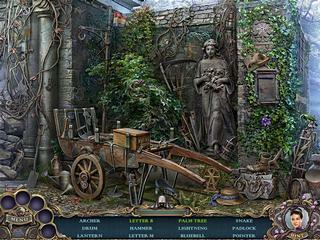 Witch Hunters: Stolen Beauty puts you on a real witch hunt in attempt to get your beauty and youth back. You need to find the witch and get back what is yours. The game begins with you listening to your grangma's story from the past. She wanted to tell you about a school prinsipal who was a witch. That was a reason she quit that school but this time around there is no escape. Once she pronounces the name of the principal, she appears and takes away the youth and the beauty of Angelica's, her grand daughter. That's how the witch hunt begins for you. You need to find the witch and get back what is yours. The game's presentation makes it all look realistic and engaging as you explore the detailed and crisp graphics. The game would be better if there was voice over, but unfortunatelly there's not any. The game play is not unique or innovative. It does not offer anything new to the genre. There is a bunch of mini games to play. They are all well known to anyone who has been long enough in the genre. 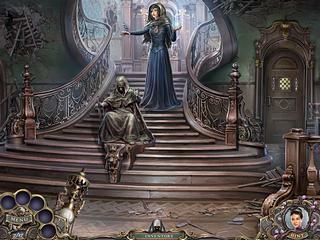 And they are not very challenging as well as the hidden object levels. Even of the tasks seem too challenging for you, you can always use a hint. There's lots of going back and forth. You will have to find and use the inventory wisely in order to rescue somebody or just get further in your own quest. Helping somebody else gives you another supernatural skill. This is Witch Hunters: Stolen Beauty in a nutshel. The game is definitelly worth taking a look at. It might nt be the best out there at the moment, but some might still find it worth playing. The Patriot is a great movie, might be biased to see two great Aussies in it. lolLove Mel Gibson and Heath Ledger in that movie.I also love the blttae scenes in Braveheart too. This is Witch Hunters: Stolen Beauty Collector`s Edition review. Download this game here.